Meredith and Nina Whitson are as different as sisters can be. One stayed at home to raise her children and manage the family business; the other followed a dream and traveled the world to become a famous photojournalist. But when their beloved father falls ill, these two estranged sisters will find themselves together again, standing alongside their disapproving mother, Anya, who even now offers no comfort to her daughters. On his deathbed, their father extracts a promise: Anya will tell her daughters a story; it is one she began years ago and never finished. This time she will tell it all the way to the end. The tale their mother tells them is unlike anything they’ve heard before—a captivating, mysterious love story that spans more than sixty years and moves from frozen, war-torn Leningrad to modern-day Alaska. Nina’s obsession to uncover the truth will send them all on an unexpected journey into their mother’s past, where they will discover a secret so shocking, it shakes the foundation of their family and changes who they believe they are. 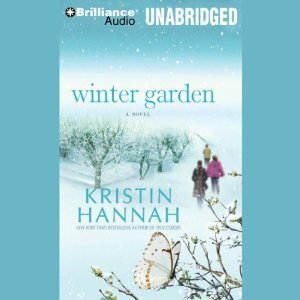 Mesmerizing from beginning to end, Winter Garden is that rarest of novels — at once an epic love story and an intimate portrait of women poised at the crossroads of their lives. Evocative, lyrically written, and ultimately uplifting, it will haunt the listener long after the last word is spoken. Peer pressure drove me to the Winter Garden. 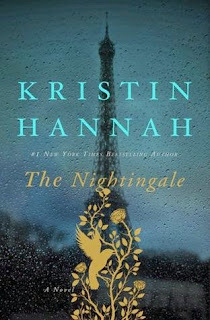 With so many raving about The Nightingale and The Great Alone, readers were also saying great things about this book. It must have been an audible special at one time and has been sitting patiently waiting in my library. I didn’t read the blurb just jumped in blind. 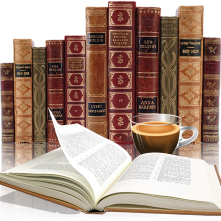 I didn’t know what to expect and as the story progressed I heard a hard time putting it down. The fairy tale aspect was a unique idea, even though I kinda sensed the direction where that was going. With the POV's from 2 sisters and the fairy tale Winter Garden is a book of secrets, forgiveness and healing. It's a part of Russian history I am unfamiliar with, showing with vivid descriptions what the citizens of Leningrad endured. Whether I would have enjoyed this as much if I read (verses audio) it, it's a story that will stay with me. 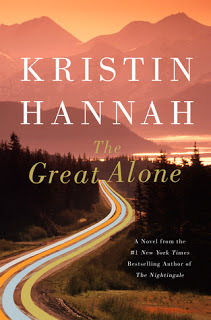 Kristin Hannah has cemented herself into my 'read new book upon release' author.